Delight in the daring and breathtaking works of two celebrated artists when Dali & Schiaparelli opens at The Dali Museum in St. Petersburg, FL, Wednesday, October 18, 2017. 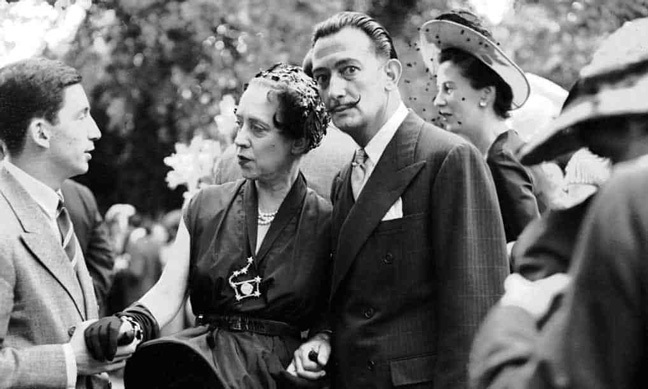 Running through January 14, 2018 Dali & Schiaparelli is the first exhibition dedicated to the creative relationship and masterpieces of Elsa Schiaparelli and Salvador Dali. 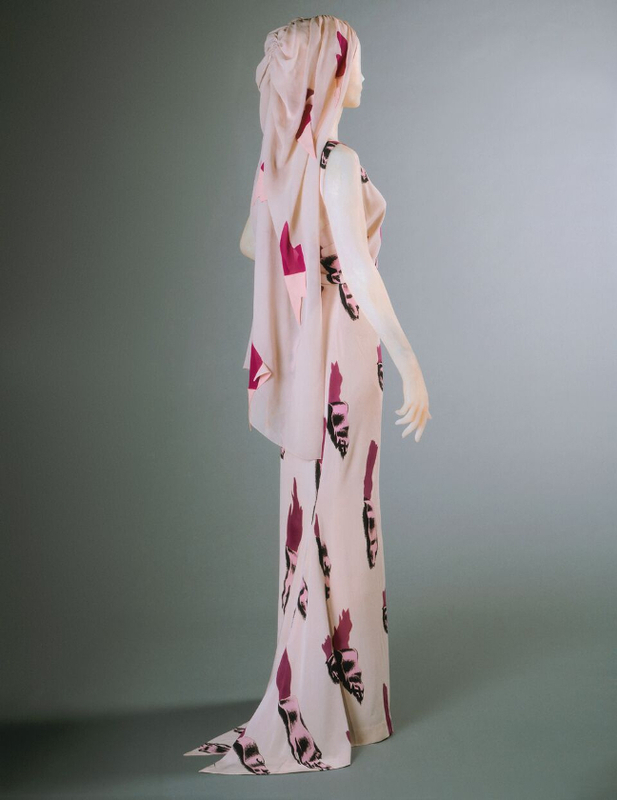 The exhibit, presented in collaboration by The Dali Museum and Schiaparelli Paris, explores how each artist’s innovative approach both delighted and shocked the worlds of fashion and art. Sensuality and a daring beauty were trademarks of their collaborations. 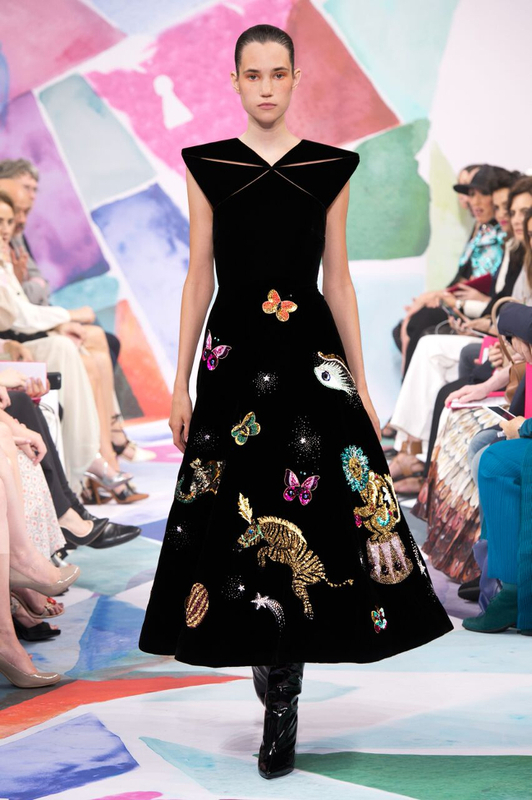 Dali & Schiaparelli will feature Haute Couture gowns and accessories, jewelry, paintings, drawings, objects and photos, as well as new designs by Maison Schiaparelli design director Bertrand Guyon. 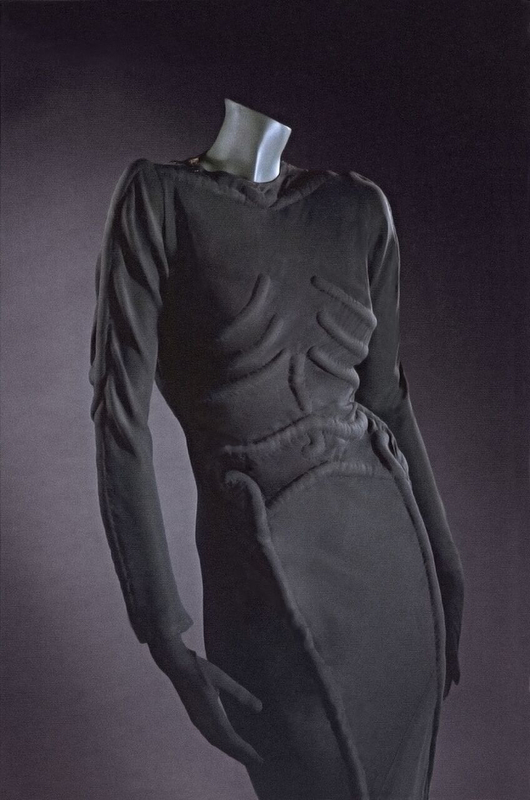 Elsa Schiaparelli, regarded as the most prominent figure in fashion between the two World Wars, explored bold Surrealistic themes in her designs. She was heavily influenced by artists, particularly Dali, with whom she often collaborated. Schiaparelli’s designs were like Dali’s paintings in that they combined Renaissance precision with wild imagination and dreamlike visions. Many of Schiaparelli’s devotees were the glitterati of the time, notables like The Duchess of Windsor, Wallis Simpson, heiress Millicent Rogers and actresses Mae West and Marlene Dietrich. Dali, celebrated as the best-known and most prolific Surrealist, was equally comfortable with celebrity – his own and others’ – and also acknowledged influences beyond his particular artistic milieu, citing politics, religion and science as impacting his aesthetic. “We are honored to present this exhibition which highlights not only the bold collaborations of Salvador Dali and Elsa Schiaparelli, but conveys their kindred spirits and individual styles,” said Dr. Hank Hine, Dali Museum Executive Director and curator of this exhibit. Dali & Schiaparelli provides a look into their friendship and partnership – one of the first and most innovative in art and fashion. Visitors can expect to be both captivated and seduced by the groundbreaking works of this duo.” Beyond the exhibition in the galleries, The Dali appreciates this celebration of fashion and art is an opportunity to recognize the relevance of style as a function of the universal need for personal expression, influencing self-perception as well as the impressions we make on others. A variety of corresponding events and programs will accompany the exhibition, including the popular monthly Coffee with a Curator lecture series; Artflix, the Museum’s themed movie series; activities for families in The Dali’s, free first-floor Stavros Education Room and more. The Dali & Schiaparelli exhibition is accompanied by a catalog with essays by Dilys Blum, Curator of Costume and Textiles for the Philadelphia Museum of Art, Dali Museum Curator of Exhibitions William Jeffett, Dali Museum Director Hank Hine, Director of Vogue Runway, Nicole Phelps, and exhibition consultant John William Barger III. Four variations of the catalog – including a deluxe boxed edition with a photogravure – are all available at The Dali Museum Store along with a wide variety of Dali- and Schiaparelli- inspired merchandise. The exhibition is organized by The Dali, St. Petersburg, FL in collaboration with Schiaparelli Paris with loans from the Philadelphia Museum of Art; the Metropolitan Museum; the Collection of Mark Walsh & Leslie Chin, Luxury Vintage; and other private collections.